I have been thinking about you since I began hearing the rumors. Glad to see to you keeping it positive man! I can't wait to see the first installment of the slam and I can completely appreciate how much work goes into editing a project that big. Keep up the great work. 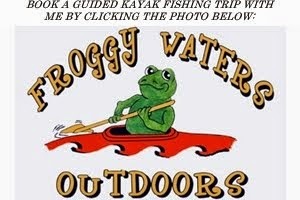 I just ordered a Stealth 12 from Kayak Fishing Supplies. I hope I am not going to have problems. Any more info about MK? I know MK is working extremely hard to get caught up on orders and everything is getting back to normal out there...slowly. I also know KFS will work hard to get you your boat ASAP. I hope it arrives soon and you can get it out on the water!